Get ready to celebrate a brand new year by staying right in the middle of the can’t-miss fun of the Disneyland® Resort! Celebrate your favorite Disney•Pixar stories and characters at Pixar Pier at Disney California Adventure® Park. And in Walt’s original park, Disneyland® Park, find your inner child as you enjoy a mix of nostalgic attractions, world-class entertainment, and visits from beloved Disney friends. For a limited time, save up to 25% on most Sunday through Thursday night stays at a select Disneyland® Resort Hotel from Jan. 6 to Apr. 11, 2019 (with travel completed by Apr. 12, 2019). Book through Mar. 31, 2019. Valid most Sun. through Thu. nights Jan. 6 through Apr. 11, 2019; travel must be completed by Apr. 12, 2019. Savings based on the non-discounted price for the same room at the same hotel. Premium room types included in offer are Premium, Deluxe and Woods/Garden/Courtyard rooms; select Concierge rooms; and only Paradise, Artisan, Junior and Regal suites. Not valid on previously booked rooms. Advance reservations required. Subject to availability as the number of rooms allocated for this offer is limited. Excludes applicable fees and taxes. Limit two (2) rooms per reservation and occupancy restrictions apply per room. Not valid in combination with any other hotel discounts or offers. Subject to restrictions and change without notice. Separate theme park admission required to enjoy the parks. For a limited time, save up to 25% on most Sunday through Thursday night stays at a select Disneyland® Resort Hotel from Apr. 14 to May 23, 2019 (with travel completed by May 24, 2019). 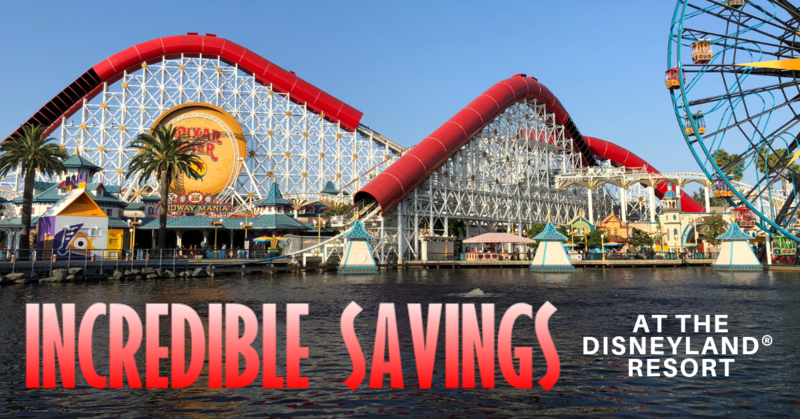 Savings based on the non-discounted price for the same room at the same hotel for most Sunday through Thursday nights from 4/14/19 through 5/23/19. 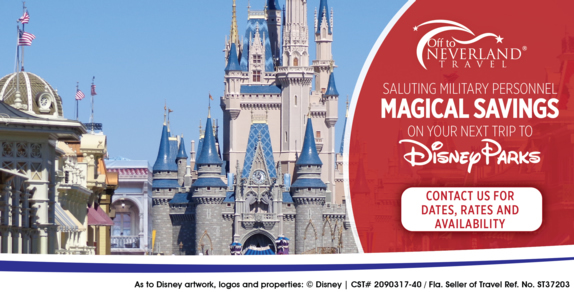 Book from 2/26/19 through 5/20/19; travel must be completed by 5/24/19. Premium room types included in offer are Premium, Deluxe and Woods/Garden/Courtyard rooms; select Concierge rooms; and only Paradise, Artisan, Junior and Regal suites. Not valid on previously booked rooms. Advance reservations required. Subject to availability as the number of rooms allocated for this offer is limited. Excludes applicable fees and taxes. Limit two (2) rooms per reservation and occupancy restrictions apply. Not valid in combination with any other hotel discounts or offers. Subject to restrictions and change without notice. Separate Theme Park admission required to enjoy the Parks. Both Walt Disney World® and Disneyland® Resorts salute the men and women who serve our country. What better way for them to show their appreciation then by offering special discounts for military personnel at both destinations!